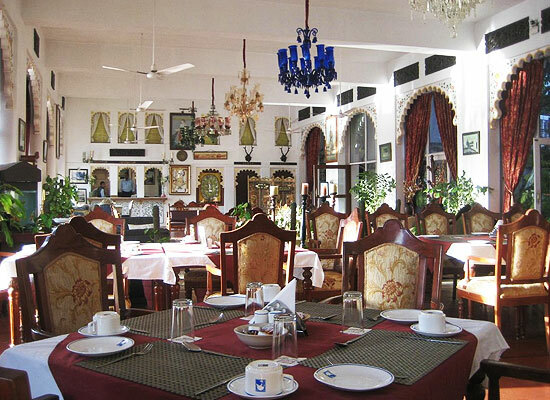 "The Lake Pichola Hotel has a history as old as the city of Udaipur. 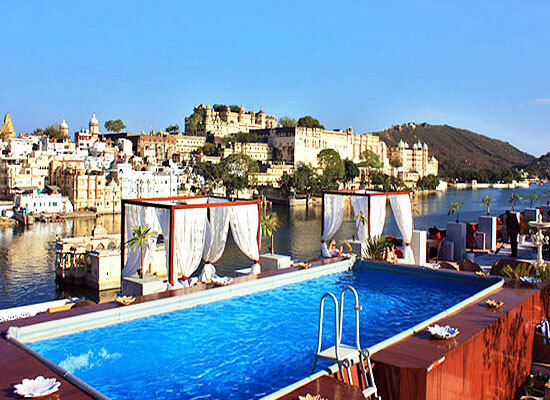 Founded by the legendary Maharana Udai Singh in 1559 A.D. the legendary Haveli standing on a peaceful island "Bramhapuri" on the western Banks of Pichola Lake, overlooking the magnificent city palace, the oldest Jagdish Temple, Bathing Ghats and Embankments, the hotel has witnessed many eras. Now a heritage resort, it lets the guests revel in the historical ambiance of one of the most romantic cities in India. 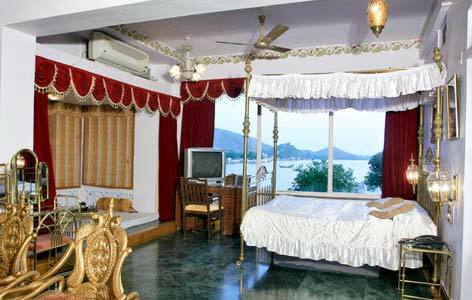 The heritage hotel in Udaipur, Lake Pichola Hotel once existed as a very famous Haveli. Located on the peaceful island called as "Bramhapuri", on the enchanting Lake Pichola bank, the Haveli was the home of regal inhabitants of Udaipur. 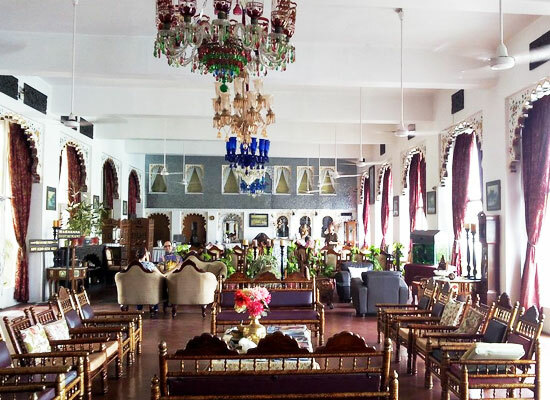 The ancient Jagdish Temple and the historical Bagore ki haveli are located nearby the hotel and are evidences of Haveli’s rich cultural heritage. All the 25 rooms in the hotel are extremely lavish and very spacious. 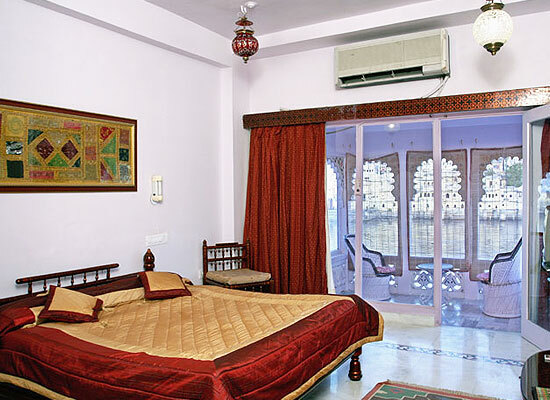 The rooms in this heritage hotel are furnished using authentic Rajput architecture and make one feel as if he/she is living in a Royal Palace. With surprise luxurious amenities, these rooms are very comfy. Amazing views of the traditional city and tranquil waters of Pichola Lake are on offer if one stays in these rooms. The rooms are divided into 21 Deluxe Rooms, 4 Palatial Suites. Maharana: The on-site multi-cuisine restaurant elates guests with delicious Continental, Rajasthani, Indian and Chinese Cuisine. Chandni: This rooftop multi-cuisine restaurant along with various Indian and international cuisines offer amazing surrounding views. Asha: Drinking wide range of Indian and international drinks is pure fun at this on-site bar. The majestic city of Udaipur was established by the famous King Maharana Udai Singh in the year 1559, on the banks of Lake Pichola. Udaipur takes pride in being among the best romantic destination of India. Popularly called as “the Lake City”, Udaipur in Rajasthan has over the years earned reputation as one of the most visited tourist destinations in the country. The city has been a source of inspiration to painters, writers and poets because of the Royal Palaces, gorgeous locations and intriguing heritage.